1600 Tycho Brache’s experimental observations on planetary motion. 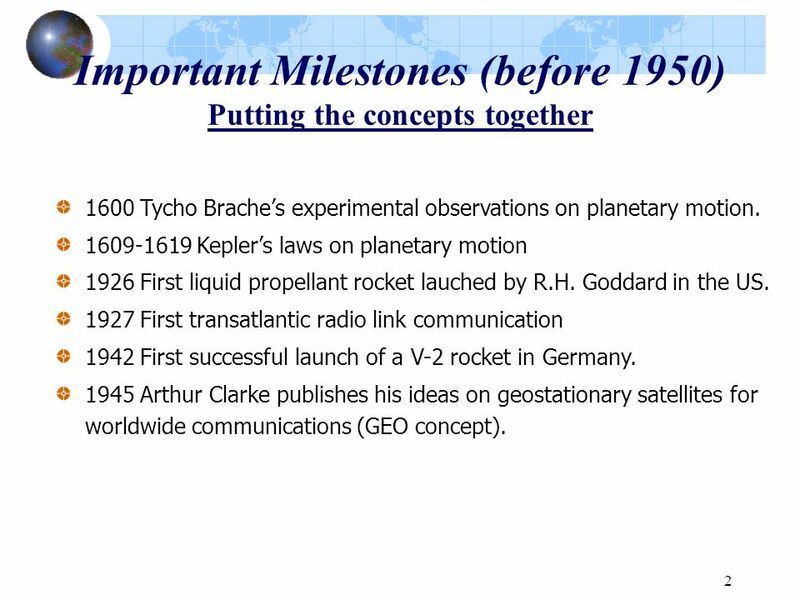 Kepler’s laws on planetary motion 1926 First liquid propellant rocket lauched by R.H. Goddard in the US. 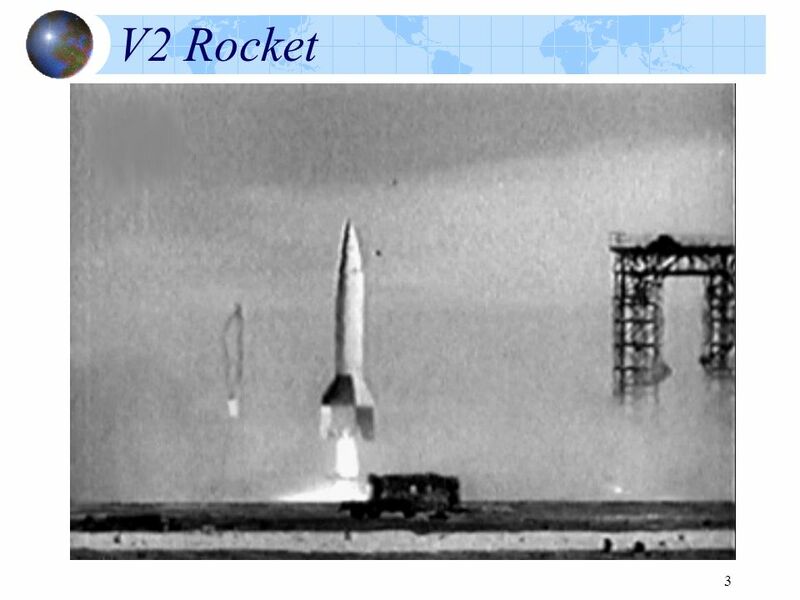 1927 First transatlantic radio link communication 1942 First successful launch of a V-2 rocket in Germany. 1945 Arthur Clarke publishes his ideas on geostationary satellites for worldwide communications (GEO concept). Trans-Atlantic cable opened (about 12 telephone channels – operator). 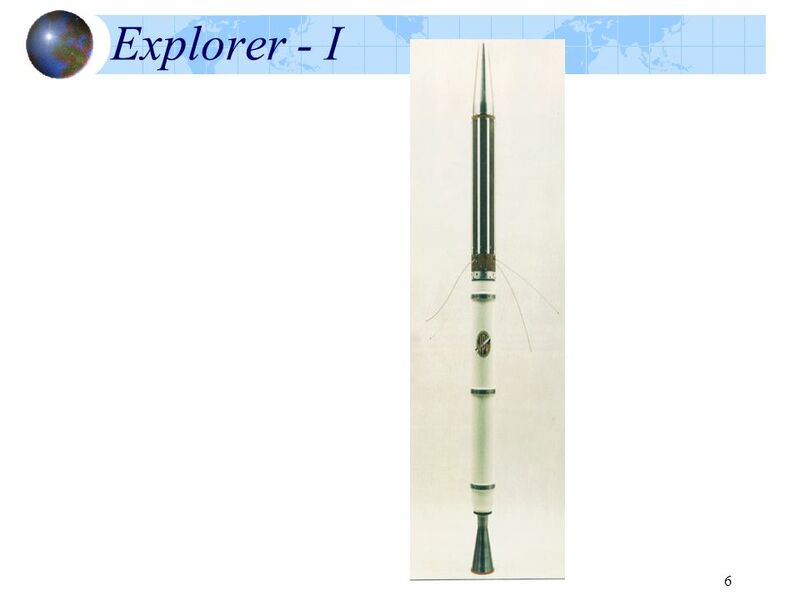 1957 First man-made satellite launched by former USSR (Sputnik, LEO). 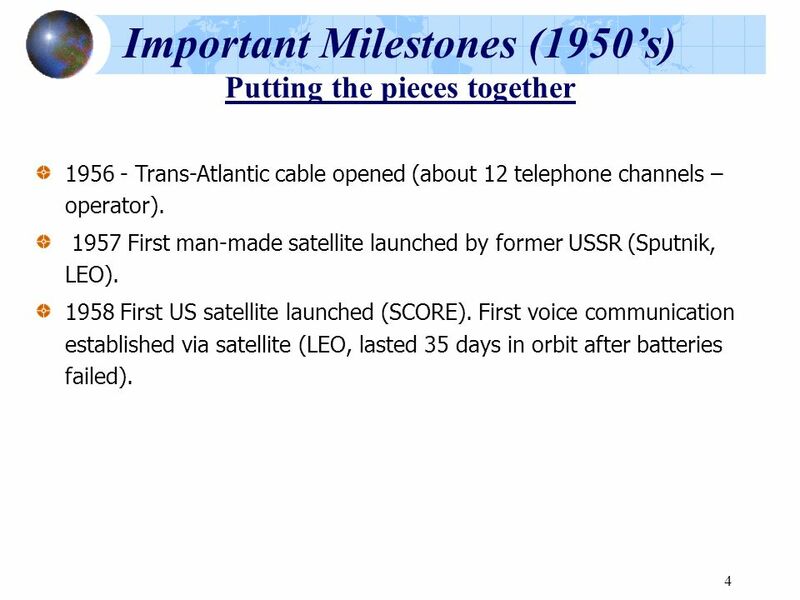 1958 First US satellite launched (SCORE). 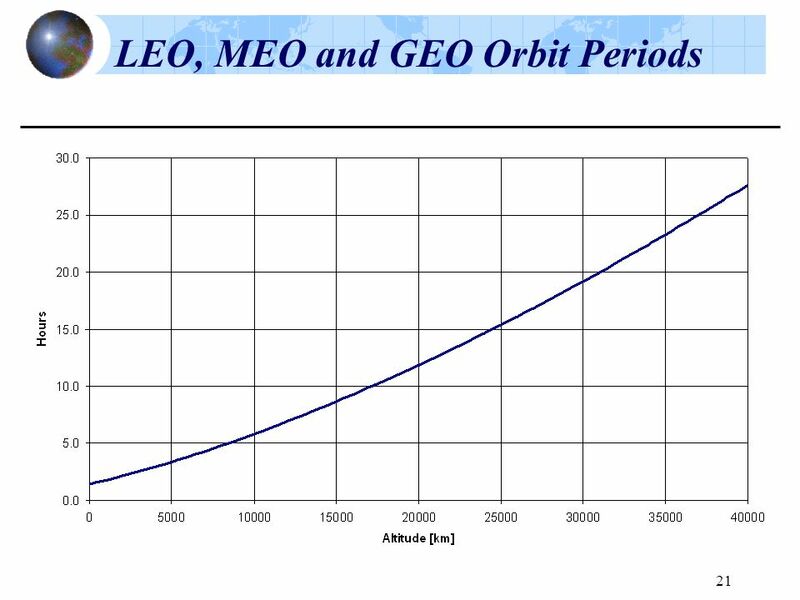 First voice communication established via satellite (LEO, lasted 35 days in orbit after batteries failed). 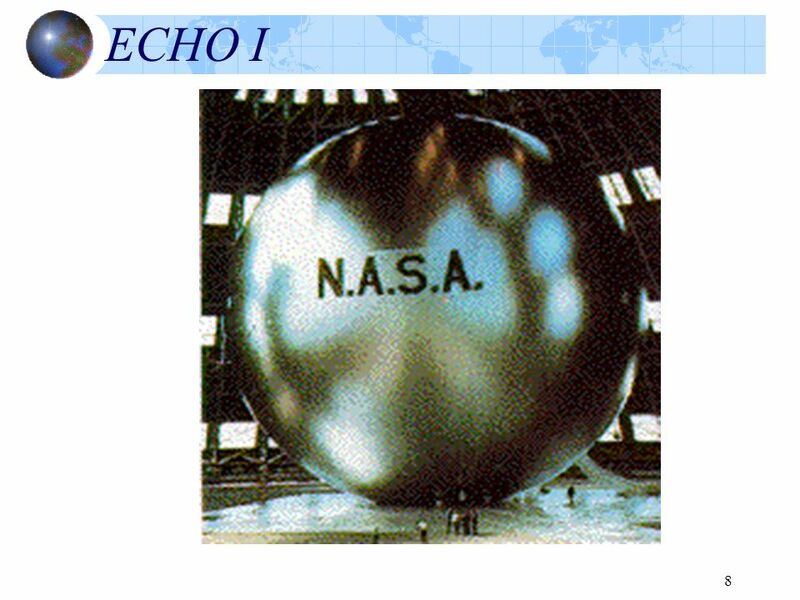 1960 First passive communication satellite launched into space (Large balloons, Echo I and II). 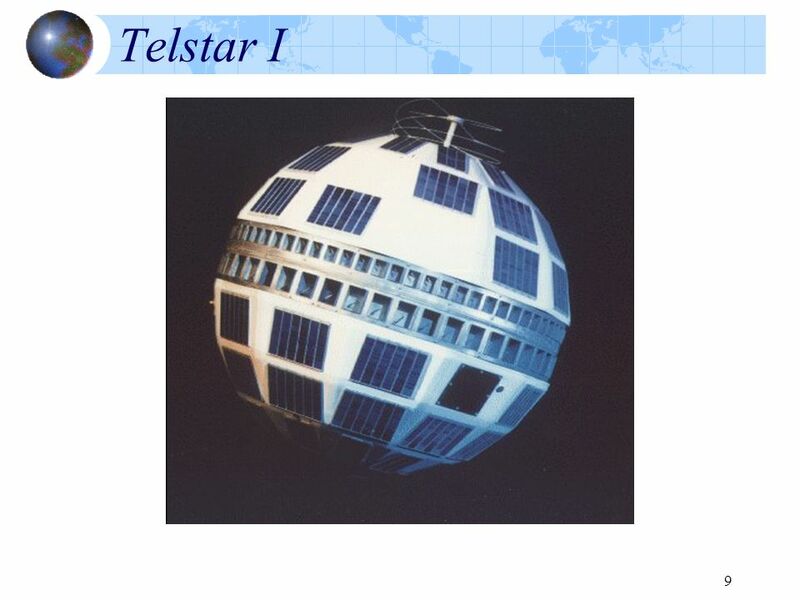 1962: First non-government active communication satellite launched Telstar I (MEO). 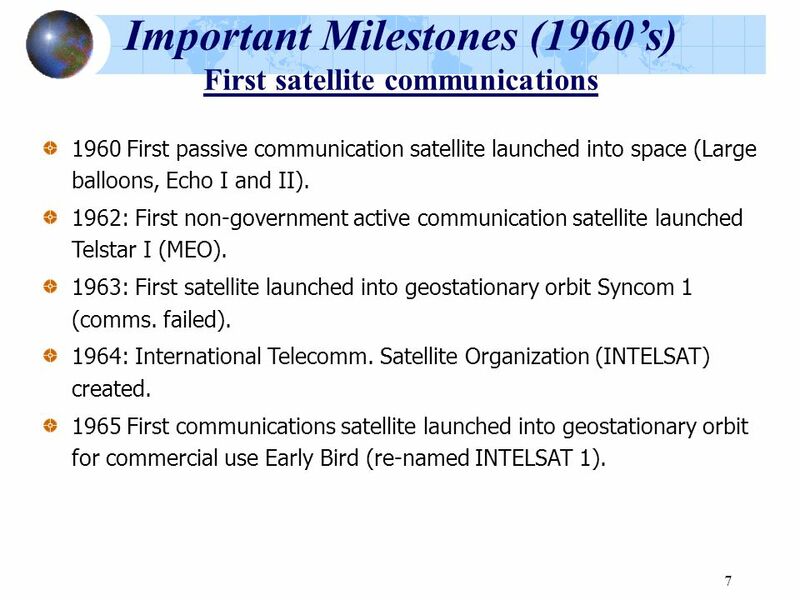 1963: First satellite launched into geostationary orbit Syncom 1 (comms. failed). 1964: International Telecomm. 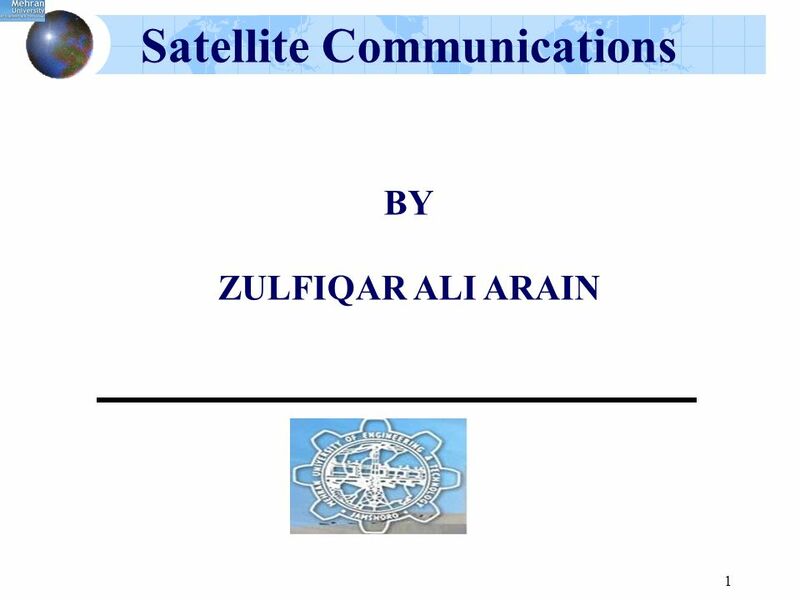 Satellite Organization (INTELSAT) created. 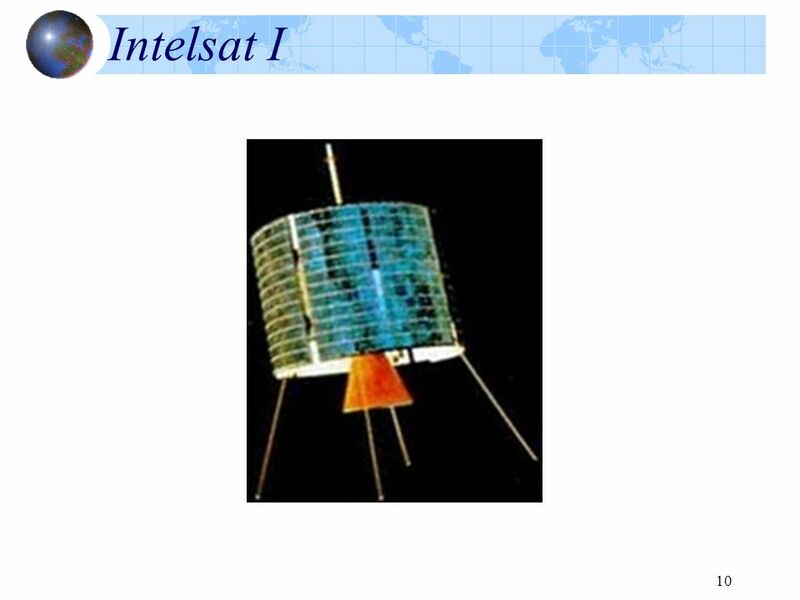 1965 First communications satellite launched into geostationary orbit for commercial use Early Bird (re-named INTELSAT 1). 1972 First domestic satellite system operational (Canada). 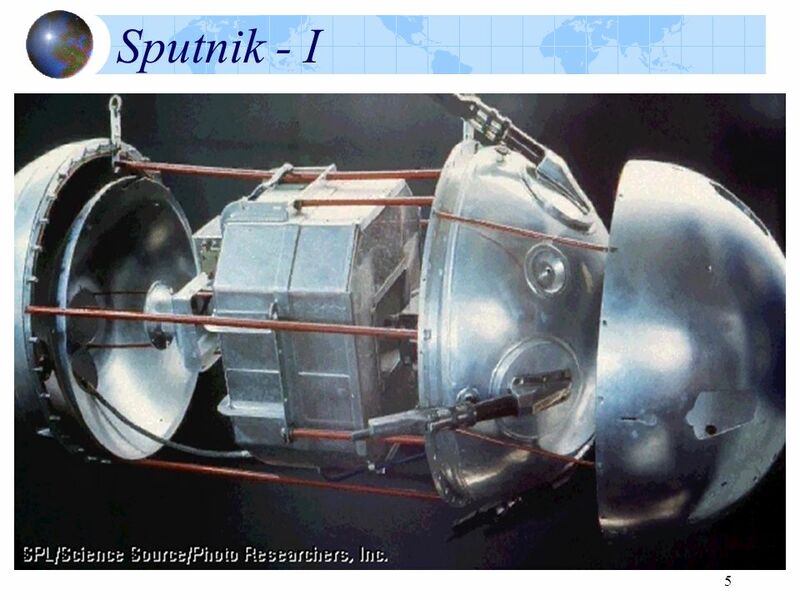 INTERSPUTNIK founded. 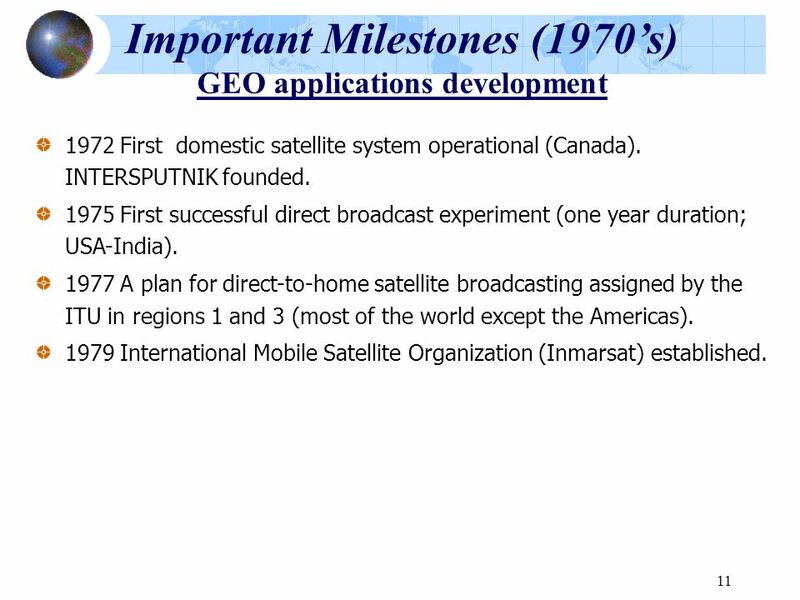 1975 First successful direct broadcast experiment (one year duration; USA-India). 1977 A plan for direct-to-home satellite broadcasting assigned by the ITU in regions 1 and 3 (most of the world except the Americas). 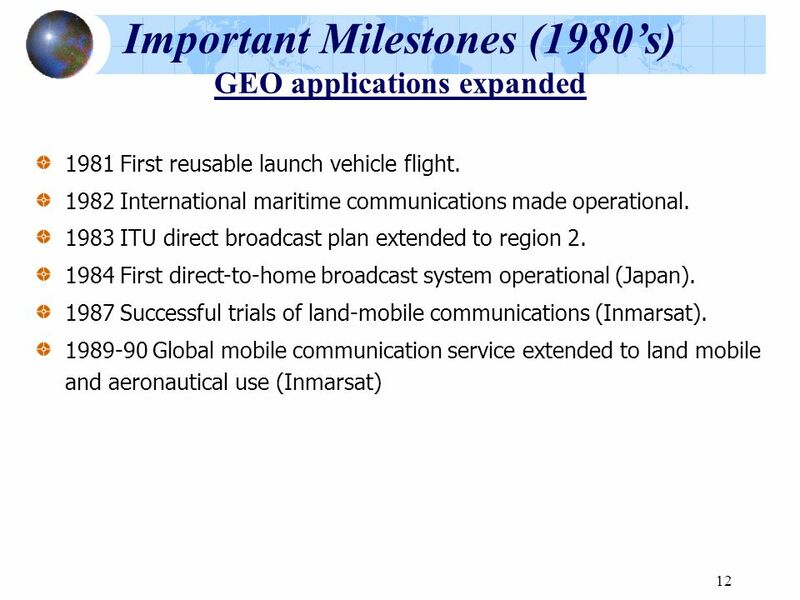 1979 International Mobile Satellite Organization (Inmarsat) established. 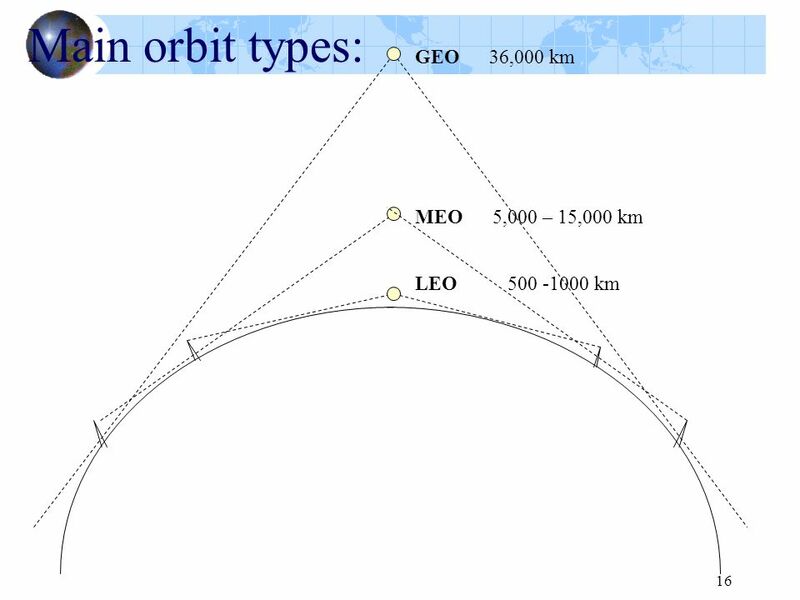 : - Several organizations propose the use of non-geostationary (NGSO) satellite systems for mobile communications. - Continuing growth of VSATs around the world. 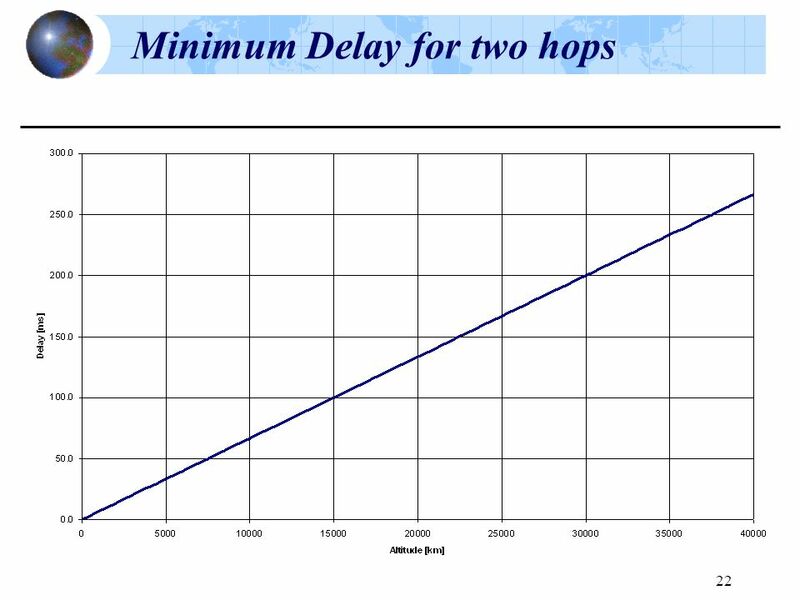 - Spectrum allocation for non-GEO systems. 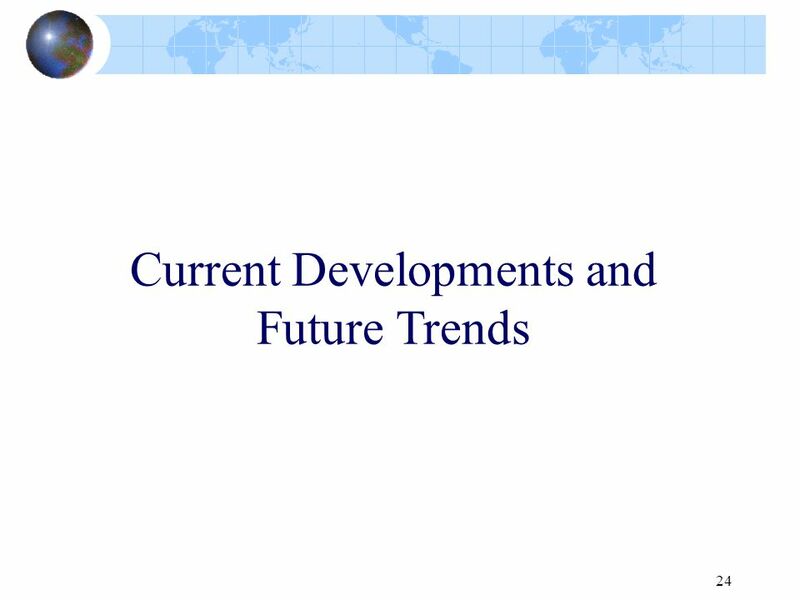 - Continuing growth of direct broadcast systems. DirectTV created. 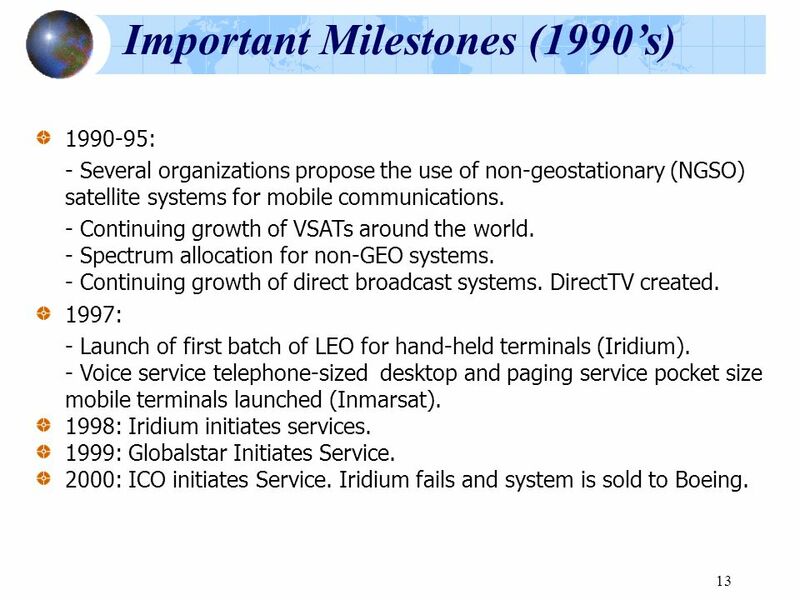 1997: - Launch of first batch of LEO for hand-held terminals (Iridium). - Voice service telephone-sized desktop and paging service pocket size mobile terminals launched (Inmarsat). 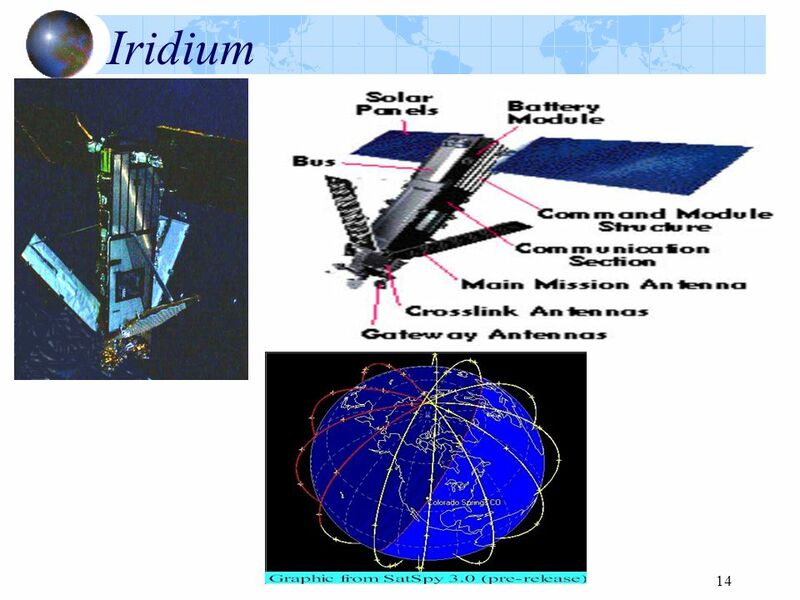 1998: Iridium initiates services. 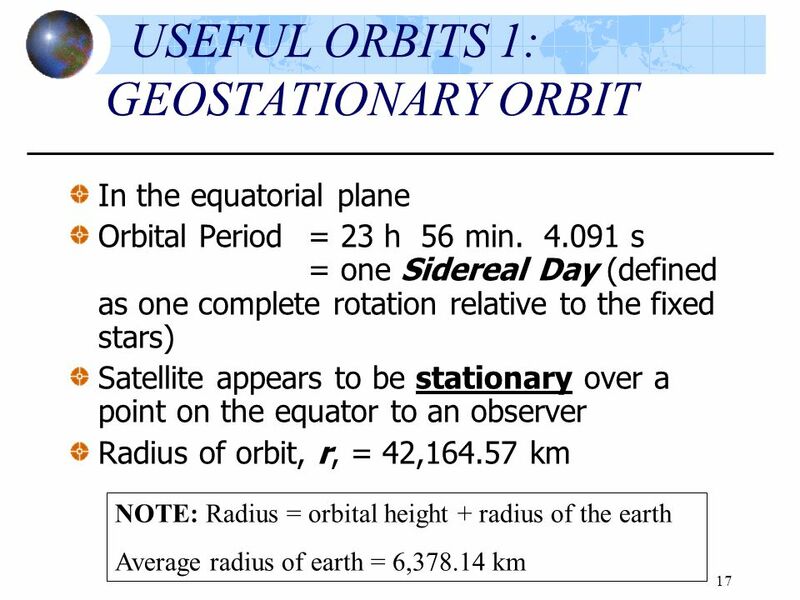 1999: Globalstar Initiates Service. 2000: ICO initiates Service. Iridium fails and system is sold to Boeing. 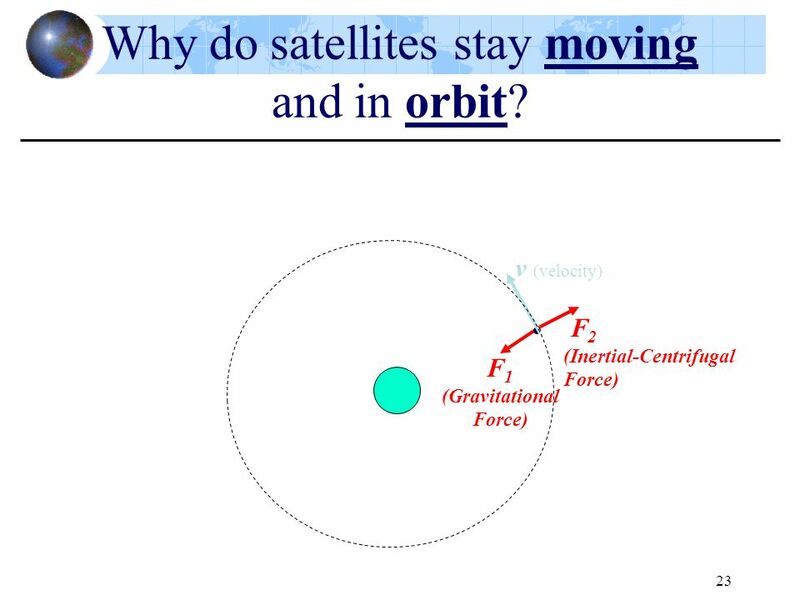 23 Why do satellites stay moving and in orbit? 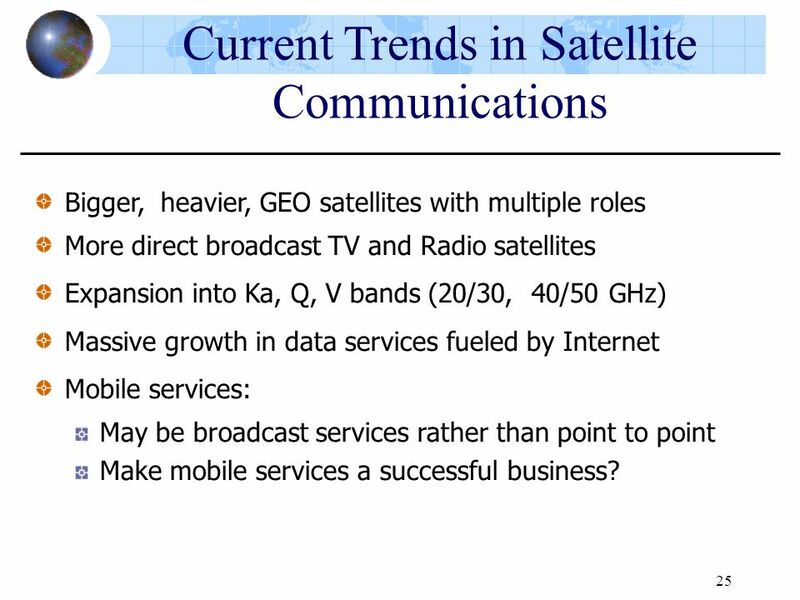 Bigger, heavier, GEO satellites with multiple roles More direct broadcast TV and Radio satellites Expansion into Ka, Q, V bands (20/30, 40/50 GHz) Massive growth in data services fueled by Internet Mobile services: May be broadcast services rather than point to point Make mobile services a successful business? Study Group 8 Seminar on Tomorrows Technological Innovations Related to WRC-07 Session 3 : Working Party 8D Introduction Overview of Activities in Working. 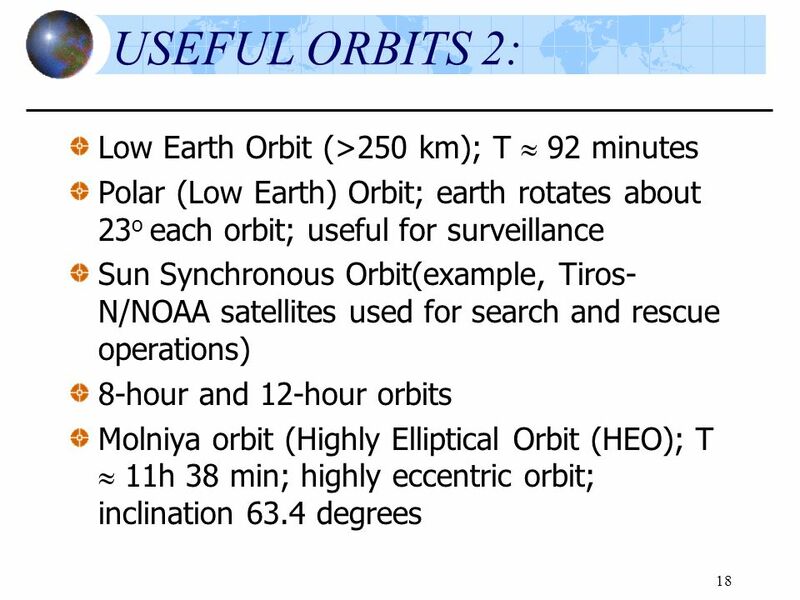 Satellites offer a number of features not readily available with other means of communications. 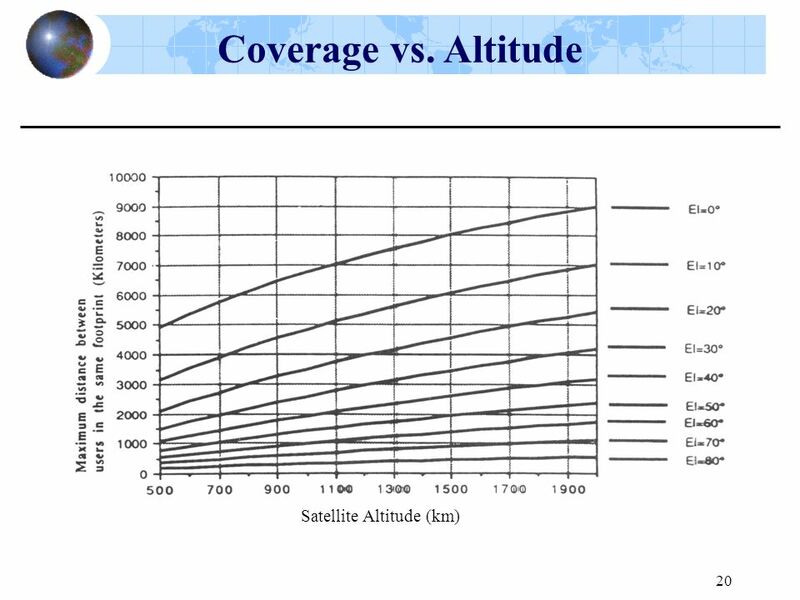 Because very large areas of the earth are visible from. Introduction A satellite is an object that orbits or revolves around another object. For example, the Moon is a satellite of Earth, and Earth is a satellite. 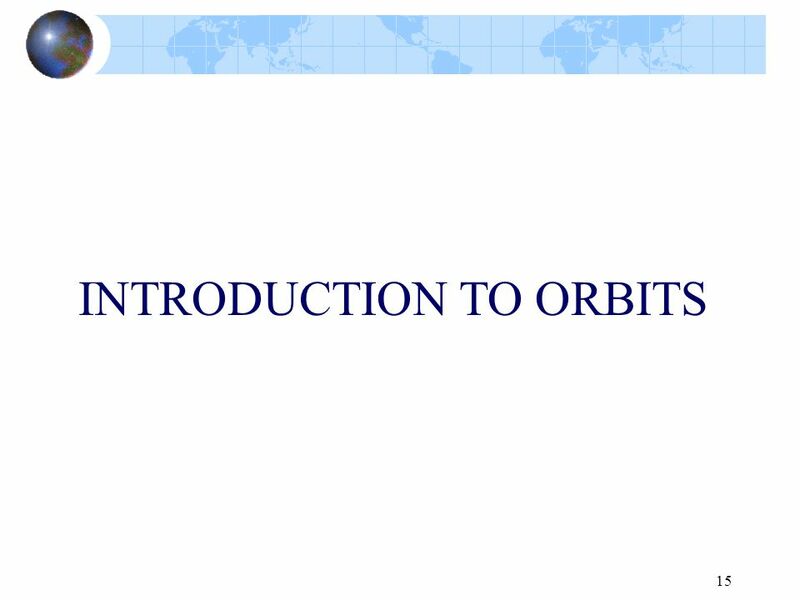 More Satellite Orbits Introduction to Space Systems and Spacecraft Design Space Systems Design. Komunikasi Satelite Risanuri Hidayat. Pendahuluan World demand for communication facilities carrying many different types of real-time and non-real-time. 1 The Advent of Satellite Communication Satcom Vision and Development of Launch Technologies Oct. ‘45 - Arthur CLARKE: “Extraterrestrial relays”, Wireless. 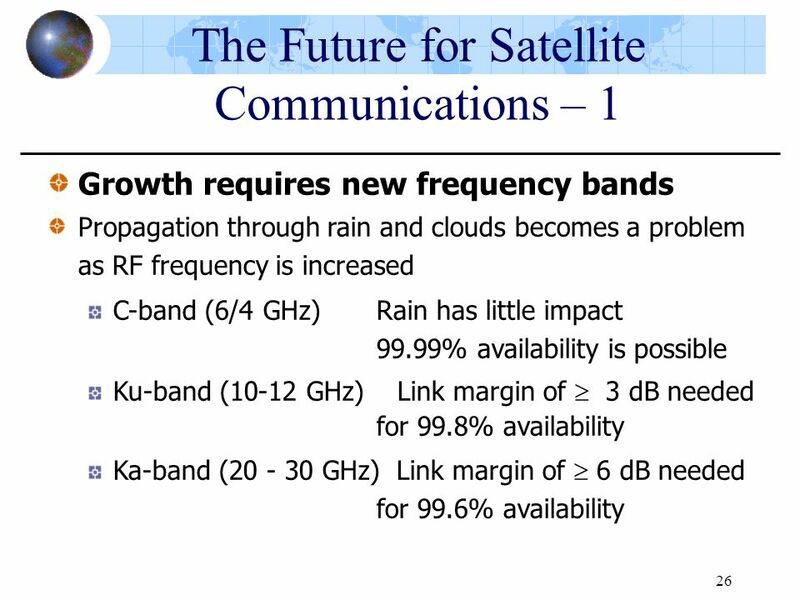 EEE440 Modern Communication Systems Satellite Systems. 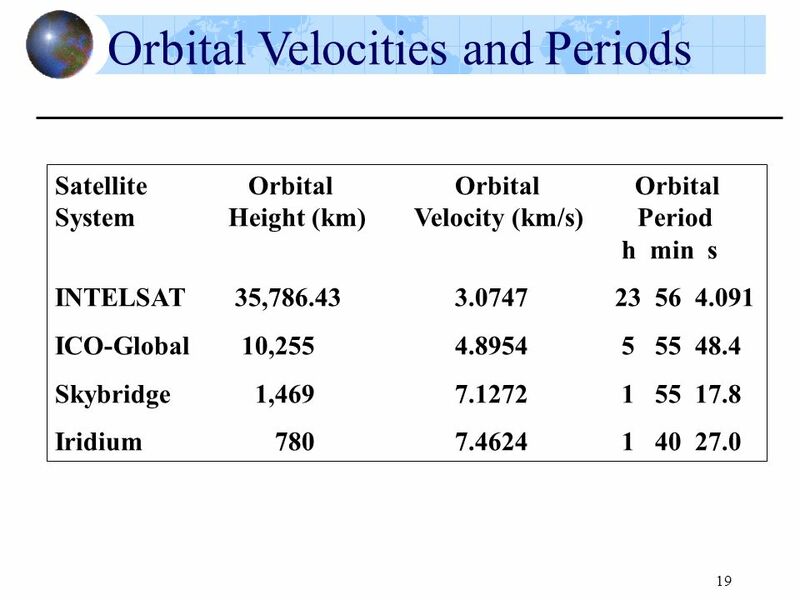 Satellite Technology in Practical Business Applications Michael J. O’Donnell MSIT 526. Communication and Navigation System Doro Gracia Kazuya Suzuki Patrick Zeitouni. 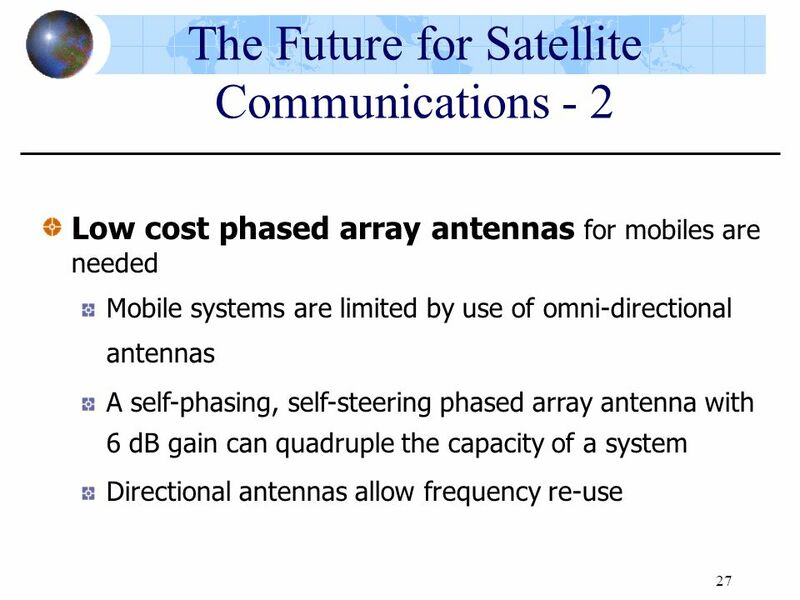 Satellite Systems IT351: Mobile & Wireless Computing Objective: – To introduce satellite communications and provide details of the particulars of satellite.